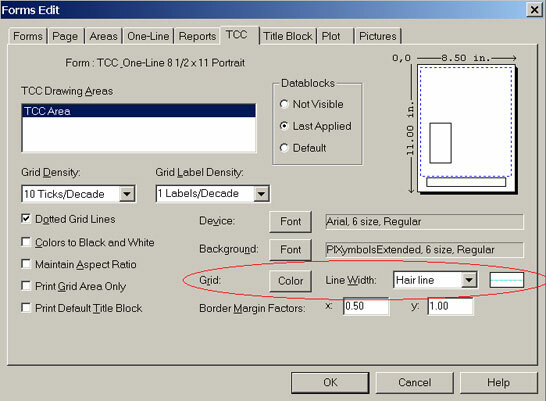 How do I set the Form Grid color for my TCC drawings? 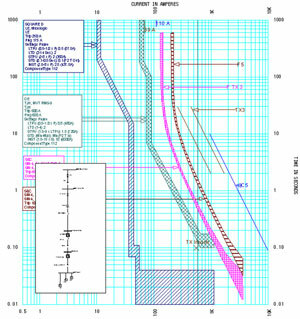 The Forms do not use the same grid colors from the individual TCC drawings. 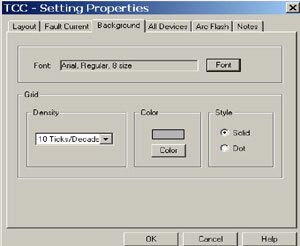 However, the TCC Form Grid colors can be set by going to: Document > Form Layout > TCC tab. In the following TCC drawing, the Form has a blue grid selected from the Color button above. This grid color is seen when you pick that form to preview, export, or print. The software is designed this way to allow users to develop a custom Form with its own preference without setting each individual TCC drawing. Group Print within Forms can be used to print as many TCC drawings as you wish with their associated one-lines using a single mouse-click.